Description. This workshop introduces students, staff, and faculty to EndNote Citation Management software for Windows and Apple computers. Attendees will learn how to download and install the free version of EndNote from the iTech Xpress online store; configure it to work with the University Libraries; search and retrieve citations using EndNote's search engine; import citations from Internet databases and library catalogs; organize references, PDFs, images, and other files; create custom groups, including smart groups that update automatically as references are added; create instant bibliographies in Microsoft Word, Apple Pages, and OpenOffice.org Writer; find and attach full-text articles automatically; and create a limitless number of reference libraries of any size. Citation management software has emerged in recent years as an essential tool for students, scholars and researchers, and EndNote has become the industry standard software tool worldwide for publishing and managing bibliographies. Learning outcomes. Upon completion of the basic EndNote training workshop, attendees will be able to create their own electronic libraries; organize and customize their libraries to fit their work and research practices; retrieve bibliographic citations from various electronic databases; connect to the University Libraries to find and attach full-text articles in PDFs to their libraries; and cite references and generate bibliographies automatically in any style while composing a manuscript. Presenter(s). John Chenault is an Associate Professor and medical librarian in the Kornhauser Health Sciences Library on the U of L medical campus. 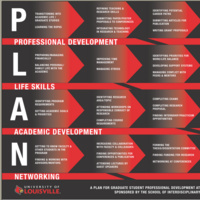 He has provided EndNote training and instructional workshops in the use of electronic databases for hundreds of students, faculty and staff at U of L. He also teaches part-time in the distance education program of the Pan African Studies Department in the College of Arts and Sciences. In his spare time he is a writer, poet, composer, and playwright.